Thanks to the singers whose performances helped us to keep those winter blues away last week. 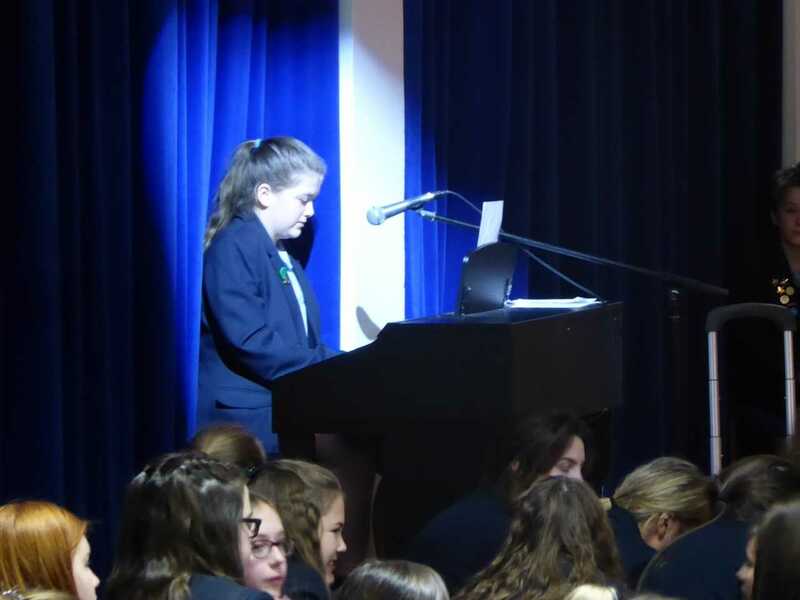 Our November Feel Good Friday saw lunchtime performances from Lily, Amy, Letitia, Fay and Lucy, Cerys, and Olivia (pictured here). Previous Post 7B2 wish you a Joyeux Noel, feliz Navidad, buon Natale – and more! Next Post Brrr… The Snow Queen’s Coming!